Exciting New Development for Lovelock Drive! Home > Blog > Exciting New Development for Lovelock Drive! South Adelaide is excited to announce a new development to the western side of Lovelock Drive, to be undertaken by Qattro a South Australian owned and operated company. The development, known as Imagine at Noarlunga, will comprise fully complete and turn-key, three bedroom townhouses which have been designed to capture views to both the beach and Vales. 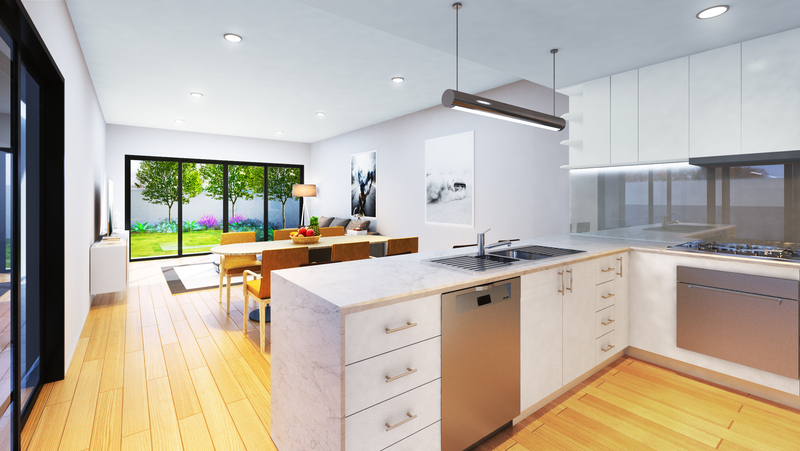 We understand the dwellings will range slightly in size and configuration, and be selling from $329,000 to $359,000 with the current Southport Townhouses Stage having remaining homes available at $345,000. The project works will also include widening of Lovelock Drive to allow vehicle parking on both sides, re-alignment of the existing bus stop which will also allow for better public transport access for the Club and landscaping of the verges to provide an attractive, tree-lined streetscape. Importantly, Qattro have worked closely with the Club to ensure we are aware of the project timing to minimise disruption during the football season.